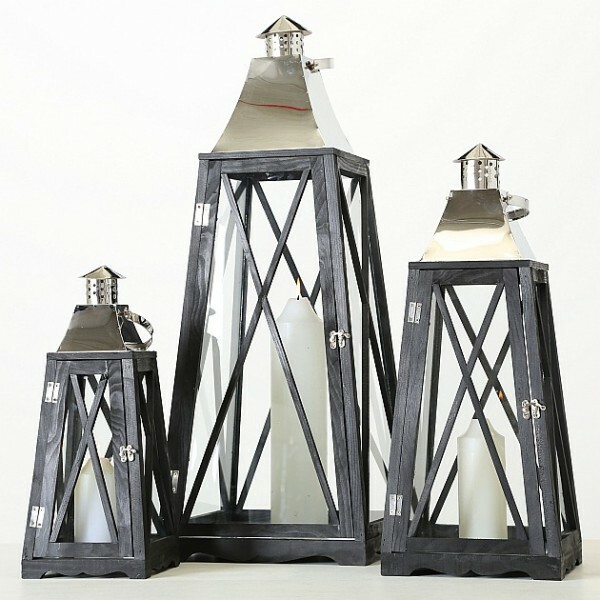 Product information "Chrome Top Lantern"
Stylish Black Pine Lantern with a shiney chrome chimney and clear glass sides to protect the candle from the wind and a metal inner base to place a candle on. If you decide to use your lantern outdoors. However, we do recommend brinnging the lantern indoors during periods of bad weather to protect it from the elements. Available in three sizes, ranging from table top to floor lantern. Related links to "Chrome Top Lantern"
Customer feedback for "Chrome Top Lantern"